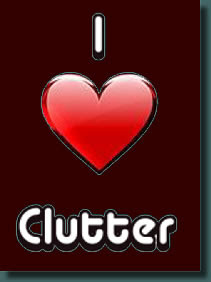 Library Garden: Clutter Lovers Unite: Don't stress about the mess! Thank you for posting this. I thought I was crazy and messy. Now I know that I am an "Out of Sight, Out of Mind" person. And all this time I kept thinking it was just me.This article has summed it all up so well and I shall no longer be concerned by all of those who frown at my messy desk. I'll simply direct them to this article instead. 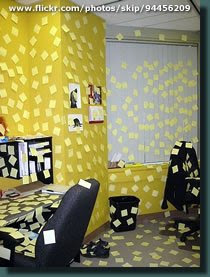 Well, I have to admit that I'm one of those folks that gets a bit nuts when I see even someone else's clutter...sorry, Pete, but I'd probably have a cow if I had to look at your desk regularly! The organization of the things on my desk is a barometer how how interested I am in what it is. If it is highly organized and neatly arranged, then I care about it. If it is a messy clump of things in a pile, then my interest is clearly not there. 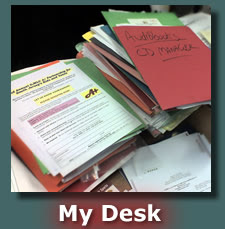 There are some exceptions (a highly messy clump of papers in a folder means I care but don't have the time), but for the most part, I try to keep a 1' by 1' area clear for work. Everything else is fair game for piling.